QSL to N4USA with SASE #10 envelope. I added to this daily - scroll down to see latest entry. Amateur Radio Operation - Gaynell and I had a really great visit in Dominica and are so thankful for our hosts Clement J73CPL& Hetty J73CPH Pierre Louis of Wotten Waven for hosting us in their home and using their amateur radio station. About 1800 radio contacts were made as J73USA with operators David & Gaynell Larsen, Clement J73CPL and Raymond J73RJ. The amateur radio operators we made contact with were really kind and courteous making the DXing a pleasure. We respond to all who request a QSL card confirming contact with J79USA with a nice 8x11 color QSL. Gaynell will be busy as we already have a big pile of QSL cards waiting for us. J79USA operated mostly on 20 meters with a few contacts on 40 meters. The station will continue to be on the air with Clement J73CPL operating his station many days of the week. 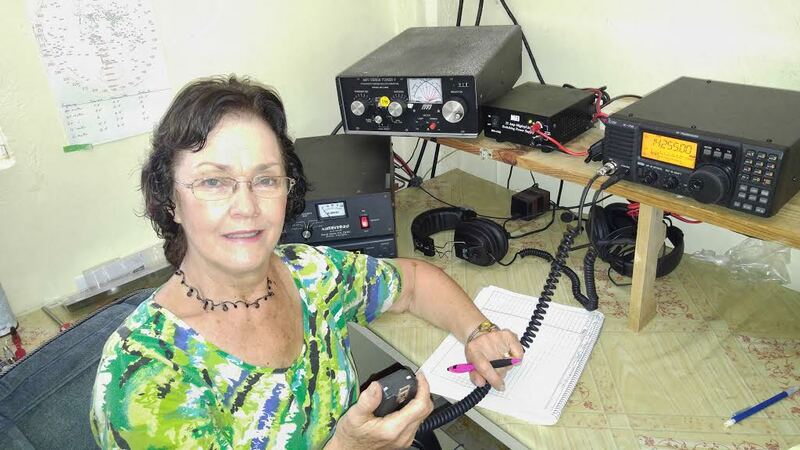 FAIRS mission projects - Hello Ham Operators, FAIRS Members and Friends, My name is Gaynell Larsen KK4WWW/J79WWW and Dave KK4WW/J79WWW and I have been traveling to Dominica for more than 20 years and at least once or twice a year. Our FAIRS work there started with meeting and getting to know the amateur radio operators on the Island. We discovered that there were a number of hams on the Island and they had a club already formed - DARC (Dominica Amateur Radio Club). We are still working with DARC and feel as though Dominica is our second home. In addition to working with the amateur radio folks there, FAIRS branched out and we have been working with a number of groups on the Island who have worked with underprivileged children for many years. Please read about this work at the bottom of blog. The travel from home to Dominica went just fine on the 19th. No problems with customs getting into Dominica, however, our two checked bags did not arrive on our flight. The late bags were delivered to the home of Clement J73CPL and Hetty J73HPL Pierre Louis (our hosts while visiting in Wotten Waven) the next evening. The bags had been opened by Home Land Security and the Dominica Customs. The contents of the bags were mixed up and one bag was not closed all the way, however nothing was missing. The bags contained medical donated supplies and one HF amateur radio transceiver. 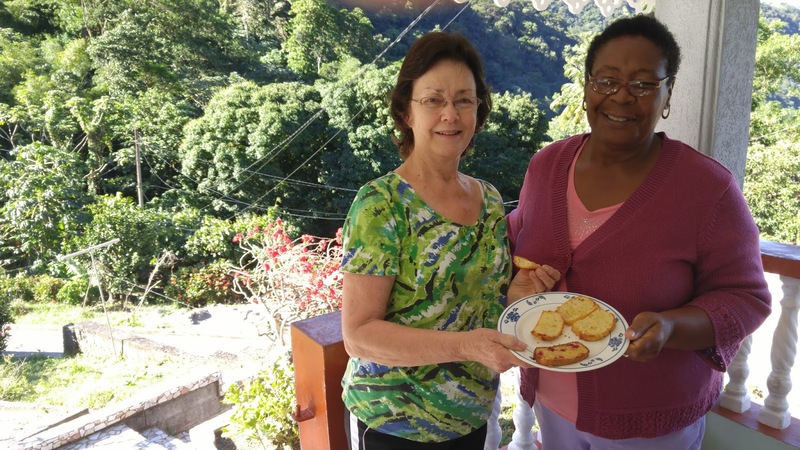 Gaynell with our host Hetty Pierre Louis J73HPL ready to have some coconut bread with a cup of coffee on the front porch of Hetty and Clement's home. The bread was brought with us and made by Gaynell's mother "Mama Sallie". The view from this porch is one of our favorite places to enjoy the tropical rain forest - See video this relaxing view "click". Clement Pierre Louis J73CPL on the right our host attending his church with Gaynell and the Priest Martin. Clement broke his leg in October 2016 and we were privileged to be with him for the first time back to church after his accident. 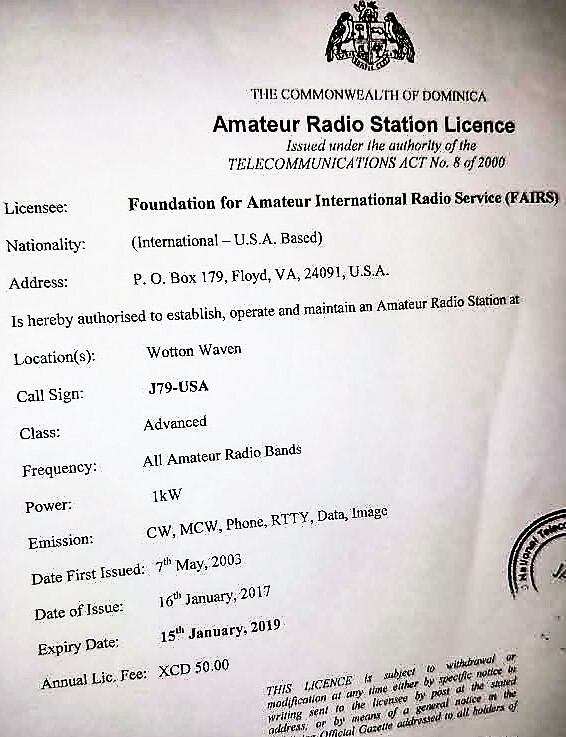 Clement's (J73CPL) transceiver stopped working and he had not used the amateur radio station for the past 5 months. One of my first tasks was to test the antenna system with the new transceiver we carried with us in our carry on bags. The Mosley beam did not work and had very high SWR. This was preventing us from operating. Clement is recovering from a broken leg and I am just too old to climb towers so we could not do any antenna repair. On Saturday the 21st our friend Raymond J73RJ came over and did a wonderful repair of the antenna system by installing new coax antenna feed line from the beam into the radio operating room. Fortunately Clement had about 200 feet of new coax cable we had sent down a year earlier with the new Mosley beam. Last night I made about 20 contacts on 20 meters and the antenna seems to work just fine. Good news for us as Raymond saved the day and made us operational. Gaynell KK4WWW and I KK4WW will be operating as J79USA for the next 10 days. We sometimes use our other Dominica licenses J79WW & J79WWW. 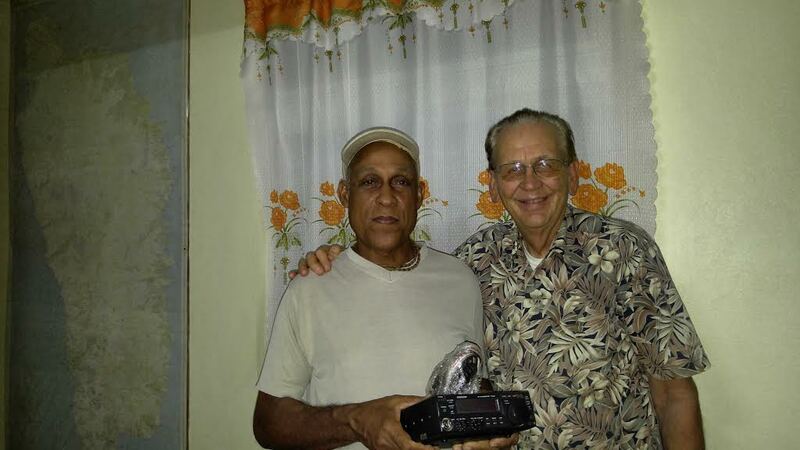 David & Gaynell, Directors of "The Foundation for Amateur International Radio Service" (FAIRS) made a donation of 2 HTs dual band radios to Raymond for the use of amateur radio operators in Dominica. Raymond J73RJ represented the hams of Dominica receiving the radios. 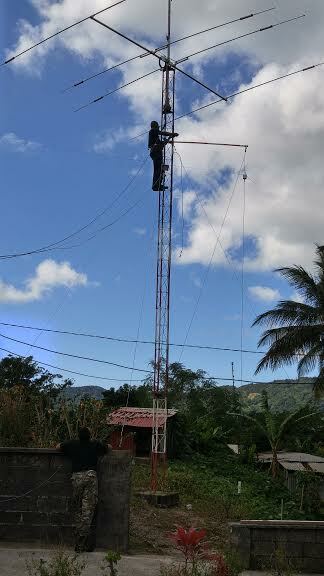 The HTs were donated to FAIRS by Mark Ward KK4TAH of the Floyd Amateur Radio Society for Dominica. HF transceiver donation to Clem James J73CI - TS-50. The radio donated to FAIRS for Dominica project by John Anderson K4JKA. Clem is a regular check-in to our FAIRS HF net at 1200z 14.318.5 MHZ on Tuesday, Thursday and Sunday. All hams are welcome to check into the net. Hot Water Therapy in hot spring water. One more reason we like Dominica - Here is Gaynell KK4WWW/J79WW enjoying the hot sulfur spring water. The water comes out of the ground heated by natural underground thermal activity. This is about 1/2 mile from J79USA. 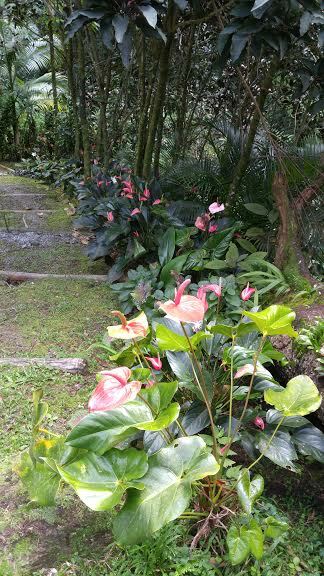 Beautiful tropical flowers on the steps leading down to hot spring pools. 1/24/17 Tuesday. Visited with old friend and his family - Joseph Guiste J73JT. Joseph was the person that introduced us to Dominica 20 years ago. We have kept our friendship active with a visit every year and talking by ham radio almost every week on our regular ham radio schedule. We welcome all hams to join us on our net Sunday, Tuesday and Thursday every week on 14,318.5 Mhz. We donated a new antenna tuner to Joseph and looked over his G5RV antenna system. The antenna is old and being next to the sea has made the antenna operation marginal. FAIRS will be sending a new antenna system to Joseph when we get back home. Gaynell KK4WWW/J79WW brought items from our friends in the States for the Guiste family. Maria and daughter Goldie had the flu. Not wanting to get the flu, we did not have a long stay, however always good to see old friends. We always stop at the Castle Bruce bakery and get a few dozen fresh coconut rolls and cookies. They are so good when hot out of the oven. 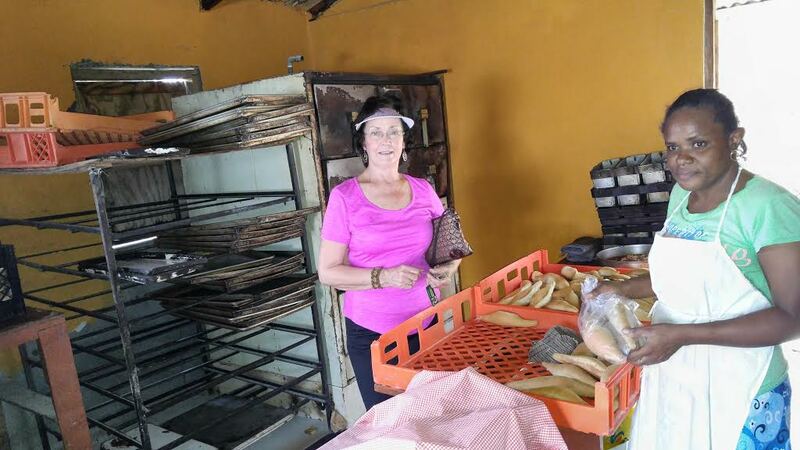 This is the coolest little bakery in the whole world -- hand made in small quantities. 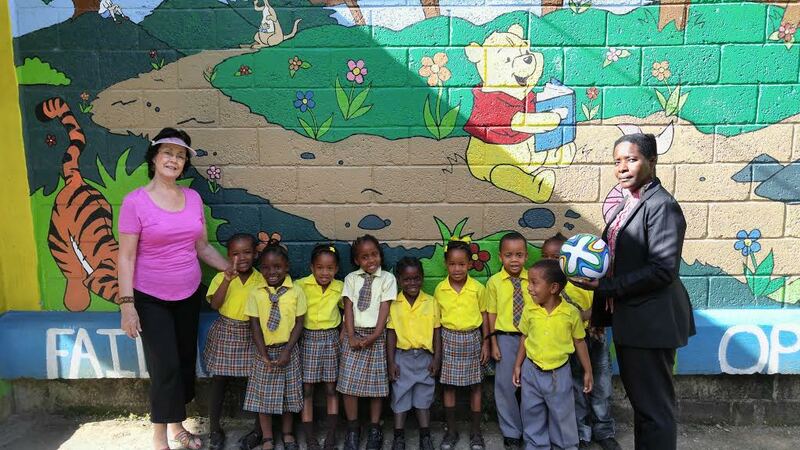 On the way to Castle Bruce we visited the school in Wotten Waven and donated some teaching supplies and a new soccer ball. Every year we bring books and other supplies for the students and teachers. The school has forty students grades 1-6. 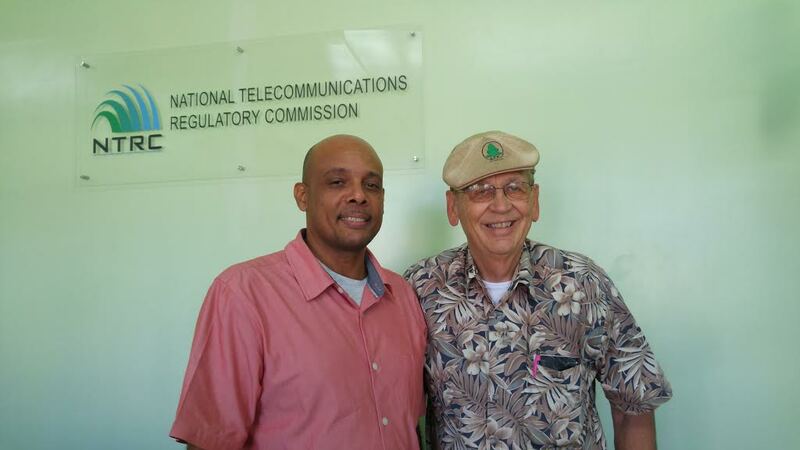 Gaynell and I made a visit (1/26/17) to see George James at the National Telecommunications Commission to pick up the latest copy of our Dominica licenses J79USA , J79WW, & J79WWW. 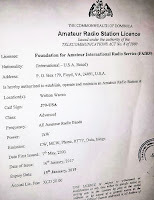 We have not used J79USA on the air much from Dominica and it is listed on QRZ.com . We decided to use our "Foundation for International Radio Service' (FAIRS) J79USA to give more exposure to FAIRS. David and Gaynell Larsen visited the National Telecommunication Regulatory Commission and met with George James the licensing officer (1/26/17). We picked up our renewed J79USA, J79WWW and J79WWW licenses. David & Gaynell visited with Conrad J73CAJ Thursday 1/26/17 and provided him with some medical supplies. Conrad has been a long time member and supporter of FAIRS. 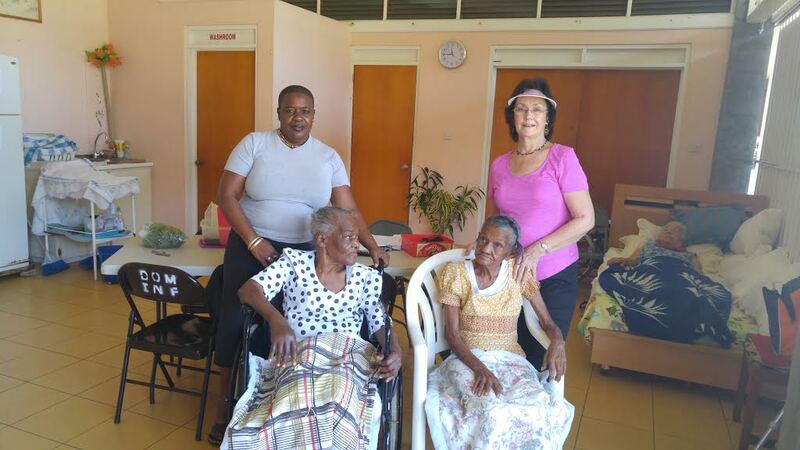 Gaynell and Gloria Walsh, head of the Love One Teach One Foundation went to the local Nursing Home to take medical supplies and some much needed lap blankets to some of the residents. A sweet lady in Roanoke, Va. heard of the need for these lap blankets and made and donated them to FAIRS to bring to Dominica on this trip. Gaynell operating J79USA Saturday 1/28/17. Icom 718 transceiver, Ameritron ALS- 500 watt amplifier and Mosley TA-33 beam on 40 foot tower. Location is 3 miles East of Caribbean coast line at 2000 ft elevation in the rain forest of Wotten Waven, Dominica. David Larsen J79USA/J79WW/KK4WW at the J79USA station in Dominica at the home of Clement J73CPL & Hetty J73HPL Pierre Louis. The home is at about 2000 ft elevation 3 miles East of the Caribbean Ocean in Wotten Waven, Dominica. IC718 transceiver and Ameritron ALS 500 watt amplifier. The antenna is a Mosley TA-33 on a 40 tower. For 40/80 meters the antenna is a 160 meter windom with tuner. LR Gilbert a solar engineer friend, Raymond J73RJ making 150 contacts on J79USA today 1/28/17 as guest operator. Great job Raymond! On rt David KK4WW/J79WW/J79USA. We are up to about 1300 contacts for this week of casual DXing from Dominica. We worked on the Atlantic side of the Island with and helped with a Kids for Christ Group, an After School Help Program, the DAD (Dominicans Against Drugs) Group and also have helped with several feeding programs. 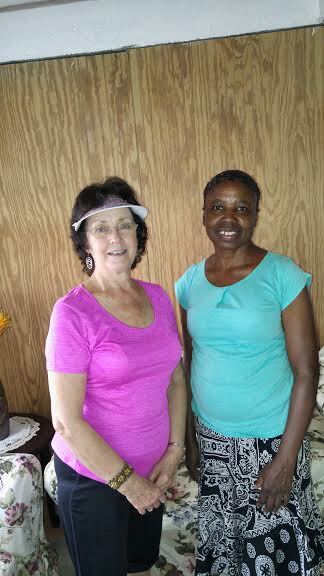 About 10 years ago we also started working with a non-profit on the Island - Love One Teach One headed by Gloria Walsh. Over the years we have helped her with some feeding programs, after school help programs and also worked with the children and parents in an area near the Capital Roseau. We also have worked with several schools and provided books and teaching materials and gifts for the children. folks suffering from diabetes or high blood pressure. Over the years, we have taken thousands of strips and lots of meters and blood pressure machines for the lady to use. Each person that comes by has a little book for her to post the medical findings for the day and if their glucose levels are extremely high or their blood pressure levels are high, she can refer them on to the hospital for additional review. This year Gloria Walsh (head of Love One Teach One) and I took medical supplies we had shipped to Dominica and some we carried in our bags on this trip to a clinic in town and also visited a Nursing Home and took a number of the residents lap blankets. These blankets were made by an elderly lady near our town for us to take on this trip. As you can see from my notes, I truly love Dominica and the folks there. I really hope to continue our work there with the children and needy adults as well as with Emergency Communications. FAIRS motto has always been Building Global Friendships through Amateur Radio and I would like this to be expanded to help the needy children and adults also!! We always welcome donations of ham radio supplies and funds to assist with this work in Dominica and other locations. FAIRS is a nonprofit 501-C-3 and donations are usually tax deductible. Contact Gaynell or David for more information. 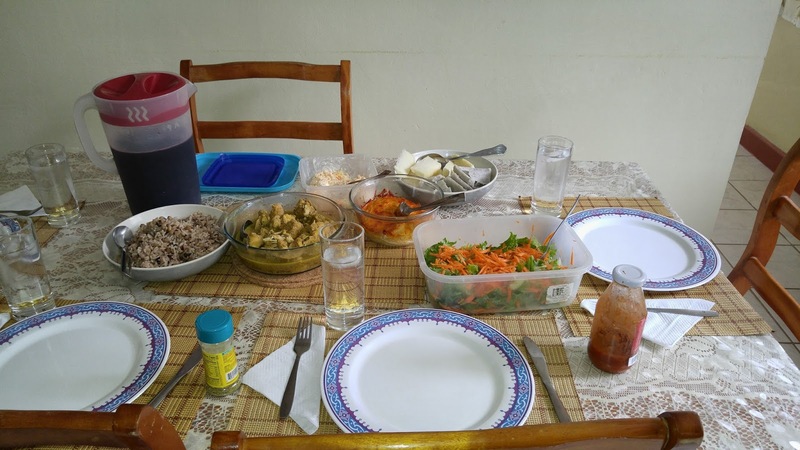 We love the Caribbean food - local vegetables, fruit and spices. The hot cocoa tea made with local coconut is absolutely delicious. 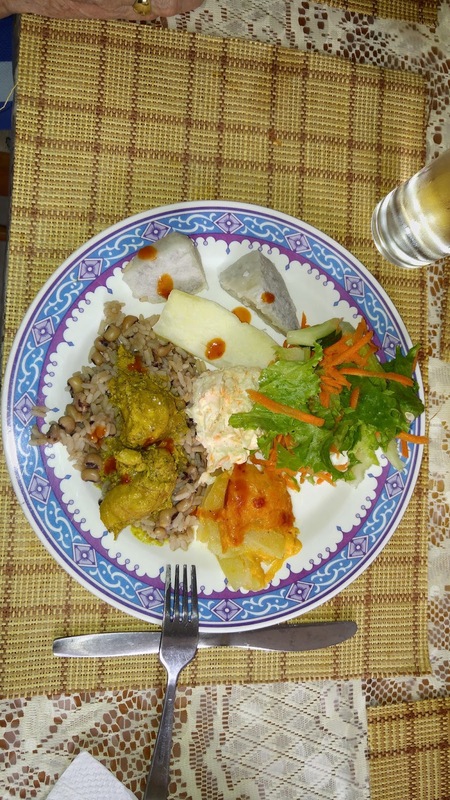 Here is a closer look at that dinner plate with dasheen, christophine with cheese, , Yam, blackeyed peas and rice, curry chicken, local salad, coleslaw and of course some hot sauce made in Dominica. Here is a video our host Clement growing these vegetables and about 35 other fruits and vegetables on his small farm & garden at his and Hetty's home - film made several years ago and very interesting. 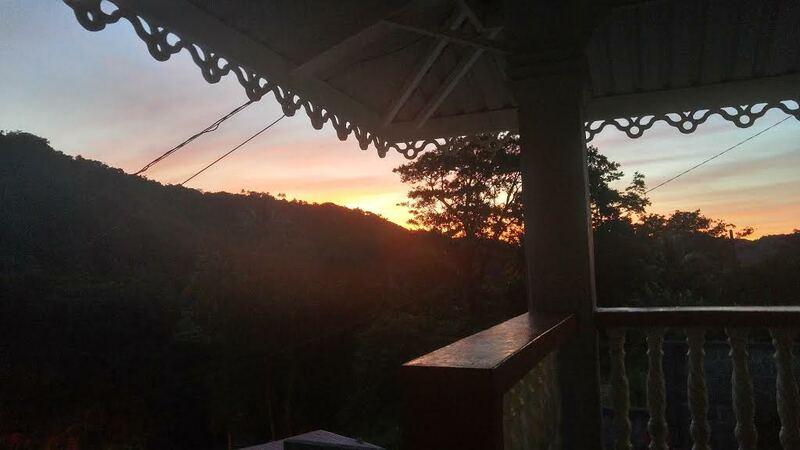 Sunset on the porch of our hosts Clement & Hetty Pierre Louis located in the rainforest. 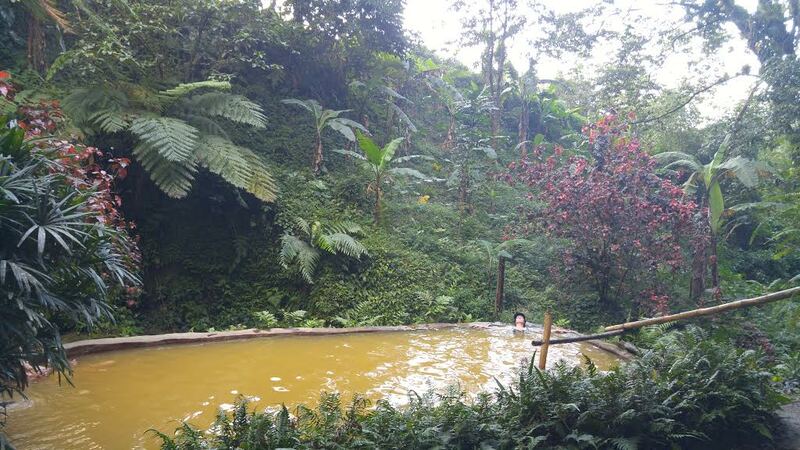 This is just a wonderful location to relax and enjoy the solitude of a tropical forest. Clement and Hetty have two cottages here for rent by the day/week/month. 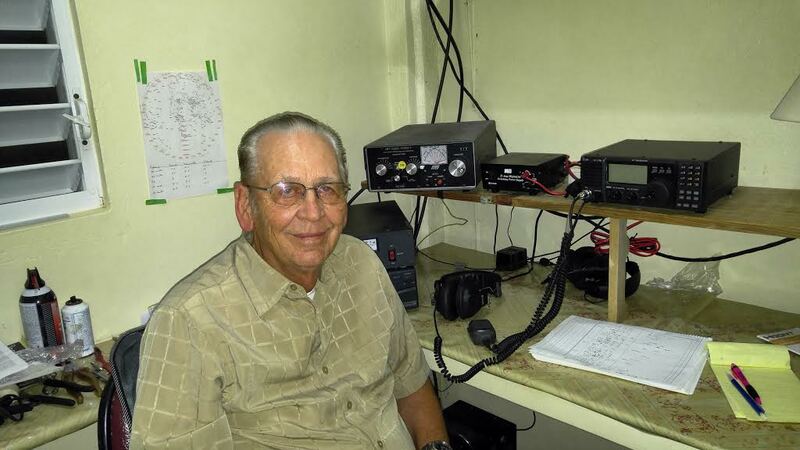 You can operate ham radio and have a great time on the Nature Island of the Caribbean. A ham license is easy to obtain and all call signs are vanity as long as it has not been issued to someone else. There are few hams here and lots of call are available including 1 by 1 --- like J79W --- I think I had this call a few years ago. Come and enjoy some great causal DX. Dominica is still a rare location on many of the bands and modes. N4USA is located in our farm office at Chantilly Farm in Floyd, Virginia. FAIRS directors David (KK4WW) and Gaynell Larsen (KK4WWW) are recently home from a mission trip to the Eastern Caribbean island of Dominica. They were accompanied this time by grandson Dustin Thompson- a first mission trip and his first time flying! The group carried large suitcases stuffed with medical and school supplies, shoes, clothes, and items requested by program leaders who carry out work on the island which is supported by FAIRS. After taking time to activate a phone and organize parcels, the delegation went about making visits and distributions. FAIRS met with Gloria Walsh of “Love One, Teach One” (LOTO) Foundation, who is currently helped by Peace Corps worker Carrie Katz fromGreensboro,NC. The Foundation helps numerous children and youth enrolled in after-school feeding & help programs. FAIRS gave classroom items, shoes, toothbrushes and Bibles. A movie night was planned for LOTO kids from theSilverLakearea, where the Dominican government has a housing construction project underway, designed to improve living conditions for the people there. FAIRS also contributed to an effort for helping teens cope with emotional challenges which many of them face. A youth retreat and weekend seminar is being conducted by LOTO and associates to educate against bullying, acting out and destructive tendencies. Other Peace Corps workers joined with the team to visit Hubert Thomas of the Council office of the Kalinago (the name of the indigenous people ofDominica). A special afternoon was a treat for the children he works with in the villages. They watched a movie, had snacks and juice, and Dustin passed out bracelets made by his sister Carly along with Bibles he collected with help from his church members at Pleasant Valley COB and the Gideons. FAIRS provided coloring books and crayons, and gave dentistry items which were a gift from a dentist in our area. Teaching materials and a CD player were gifted to Wotten Waven Primary School. Pictures and video were made which chronicle the transformation of the building and grounds and the school’s progress over time, with some help from FAIRS and community volunteers. You may see this story and others at www.floydradio.net. For videos of the mission trip click here. 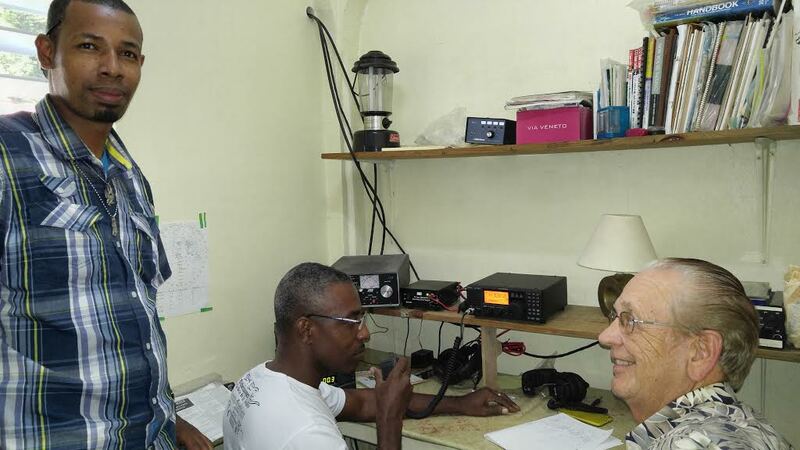 FAIRS continues to work with members of the Dominica Amateur Radio Club, Inc. (DARCI) – support has been given for equipment repairs and checks of emergency radio communications systems. An amateur radio operator from Vermont was visiting, using the Club station and accommodations. 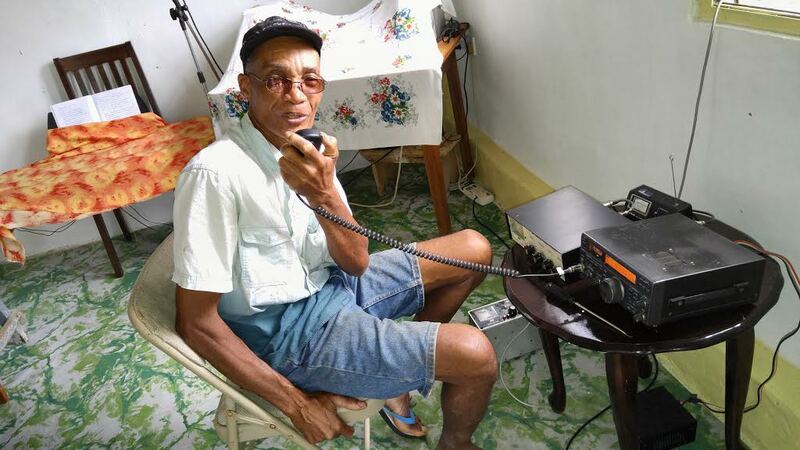 David and Gaynell had a “person-to-person exchange” with Brian Machesney K1LI who travels the world expanding his circle of friends – they discussed growing amateur radio activity on this important “hub” island (because of its location and communications resources). 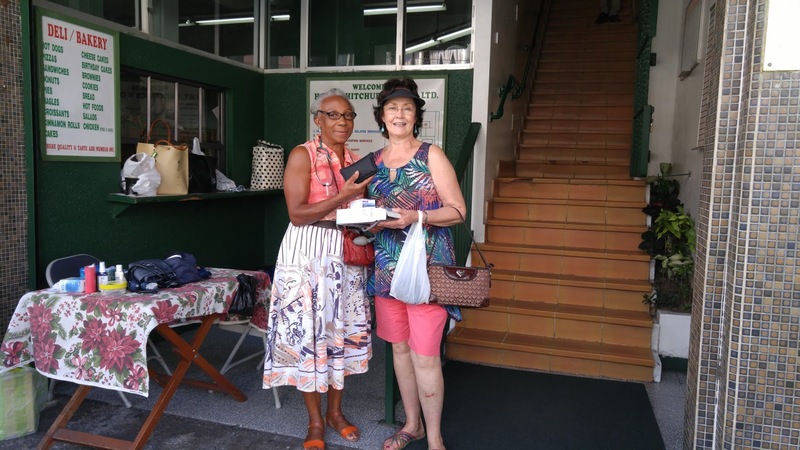 Day tours for operators from the cruise ships which dock in Dominica, and additional living space at the club site which may be utilized by visiting hams were ideas. The team will work on improvements which are found to be feasible for the club. FAIRS interacted with other countries in the Caribbean during the course of their visit –equipment was shipped, installed and is reported to be in good working condition. One highlight of this trip was to be able to spend time with Joseph Guiste J73JT, a long time friend of FAIRS, and his family. They live in the fishing village of Castle Bruce. FAIRS gave much-needed funds donated by friends from Floyd – Dave worked on Joseph’s radio and set up a Magic Jack for telephone communications to the U.S. Clothes, shoes, over-the-counter meds and creams, band-aids and much more were given for the benefit of the children in the village. Bibles were given to the local baker to fulfill a request, and a computer and office supplies were given to community leaders. Leisure time was spent taking in the sights of Dominica. The group enjoyed a trip up Indian River, to historic Fort Shirley and to the therapeutic hot sulphur springs of Ti Kwen Glo Cho. The Foundation for Amateur International Radio Service (FAIRS) has bring medical supplies to the clinics in Dominica for years. The main hospital has also been on our list and many times we help furnish surgical and other supplies . Their is always a shortage of supplies and even simple things like Tylenol, Aspirin are always in short supply. Things list blood sugar testing devices and the test strip that goes with them are needed. We generally bring sutures for the hospitals. These are expensive and always needed. We are always glad to have help from folks that can furnish some supplies. FAIRS is a 501-c-3 so we can generally accept item and issue a tax deduction. On this trip we has some of all the above and lots of other small items. Fairs has been coming to Dominica for almost 20 years and we live with our friends, Hetty and Clement Pierre Louis in Wotten Waven while we're here. 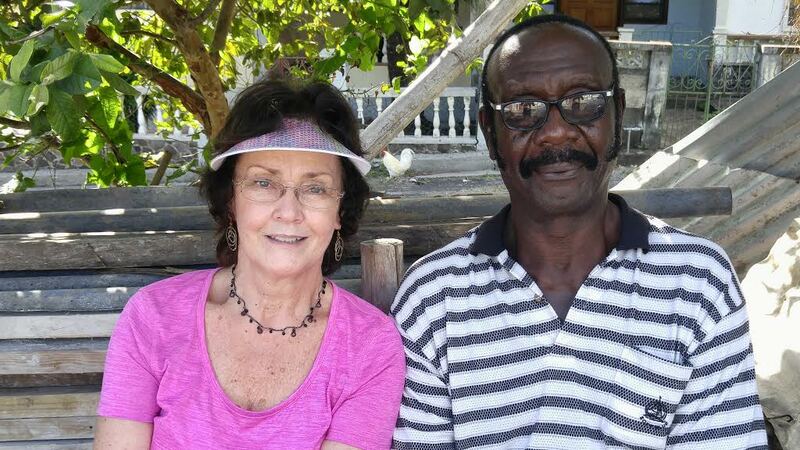 For many years, Dave and Gaynell Larsen have been working with the students at the Wotten Waven Primary School. A few years ago we were able to move a library of books we had in the little village of Castle Bruce here to Wotten Waven for the children. They only had 10 books here for the children to use and read and now we have hundreds of books!! Every year we try to do a project to improve the school and make learning for enjoyable for the children. This year we brought "Flash Cards" and wipe-off books the small children can use over and over to learn how to write numbers and letters. Over the past few years, we've been able to pressure wash the school and surrounding building and and purchase paint and the girl from the US Peace Corp painted the murals on the school and buildings. It made such a difference in the appearance of the school and brightened up the learning facilities. Over the years when FAIRS is here in the village, we take individual pictures of each cf the children - I have them printed out when we get home and send them back for the teacher to pass out. For some of the children, these are the only pictures they have. Our YouTube channel has many videos of the recent trip to Dominica. Click here to view our channel and some of our latest videos.